Day 1 was a fairly easy climb because most travels were made via vehicles such as jeep and bus. 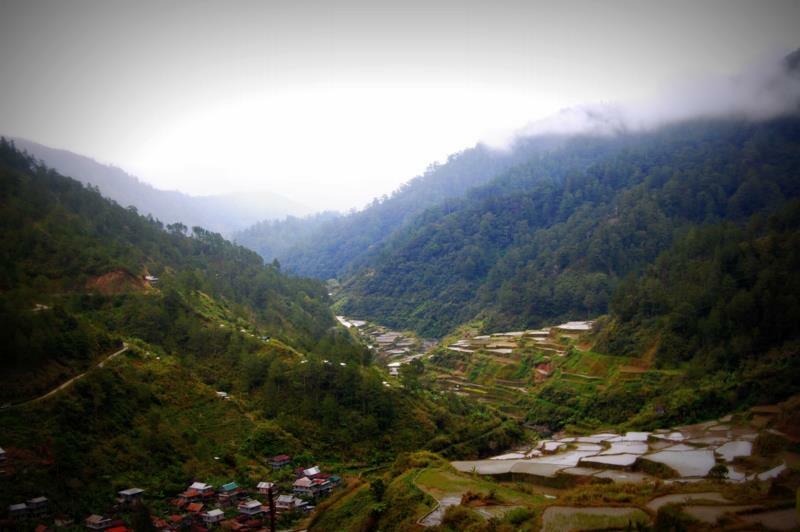 In fact, a lot of good sceneries can already be seen while travelling to Banaue. We started trekking around 4pm and we trekked for 3 hours before we prepared for our dinner. The trail was very wide and there were a lot of rice terraces that can be viewed. They say that this trail is well maintained because of the relay tower that is near the summit. It will be near impossible to get lost in this trail because of the electricity wire that you can follow up to the summit. 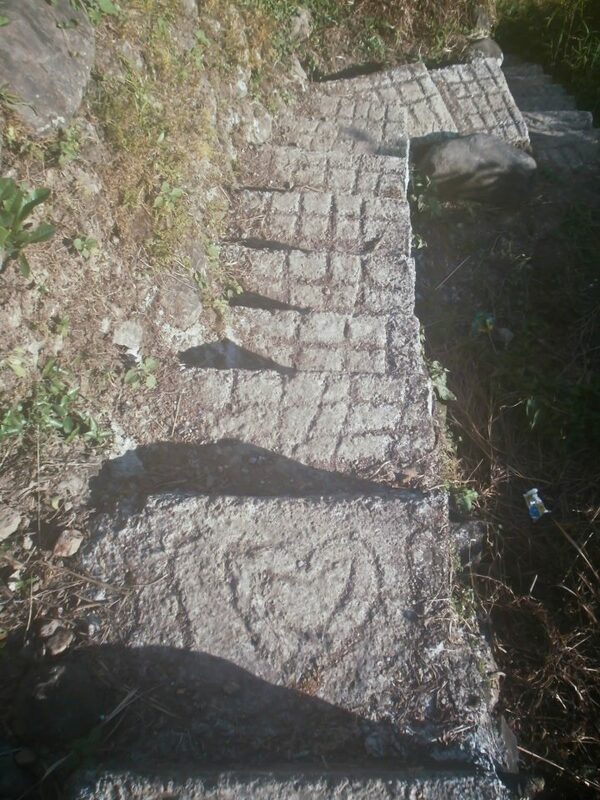 The only thing that I found difficult about this trail is the paved steps which were dubbed as stairways to heaven. You will encounter a lot of these steps; it is a good thing that we had a training climb for this. The hardest was the wooden steps because it didn’t seem to end, take note that we were carrying heavy bags on our back. After we had our dinner, we trekked for another two hours before reaching the campsite. 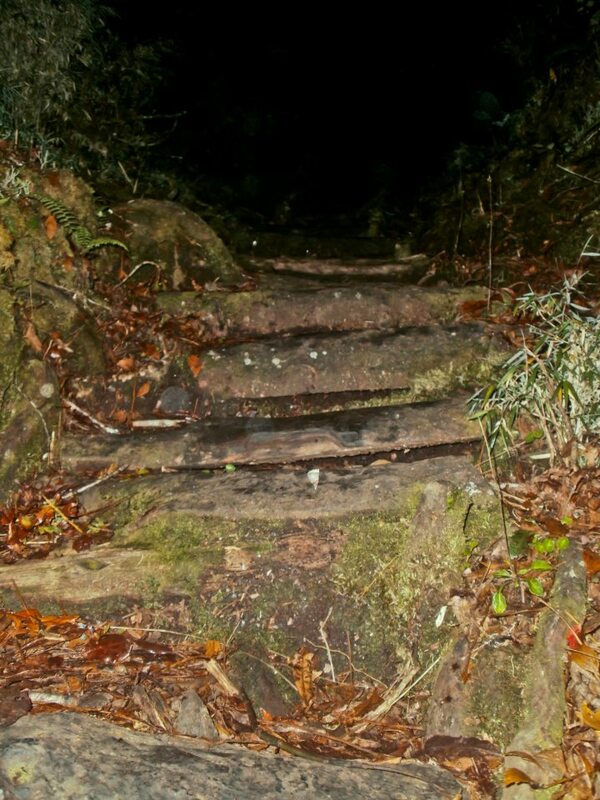 It was already past 10pm when we reached the summit, night hiking is very possible in this trail because of these steps, just make sure that you bring your flash lights, you don’t need to worry because there aren’t any thorny plants in this part of the climb.